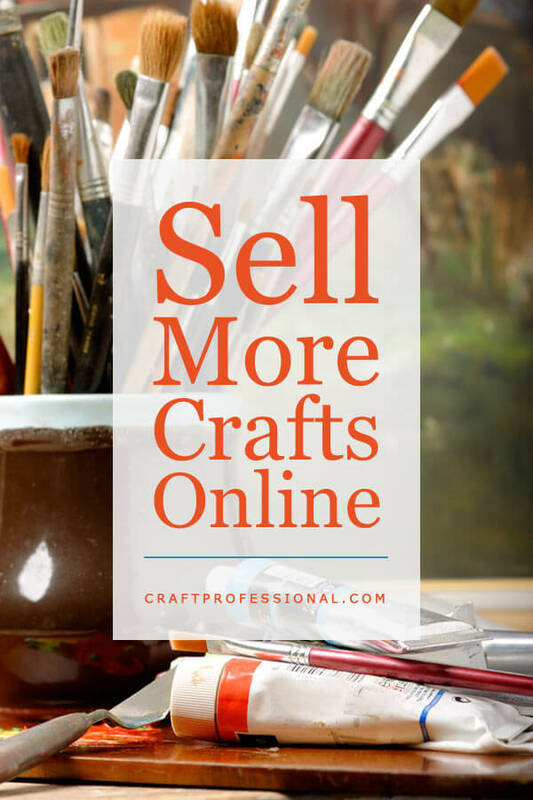 There are so many fabulous ways to sell crafts online. Technological advancements have come fast over the past few years opening up a whole range of exciting opportunities to craft professionals. You might sell traditional handmade crafts in an easy to set up online shop, or you might invest some more time and build your own business website. Instead of selling hard goods, you might sell you knowledge, providing online instruction in your craft in the form of books or courses, or you might design and sell patterns so customers can make their own version of your design. The need to have complex technical skills to sell crafts online has dropped drastically, and the opportunities are huge. There is a lot to cover in this topic, so I've divided this page into sub-sections to make it easier to find what you're looking for quickly. If you want to dive deep into the subject, read through the whole page, and click on each linked article. 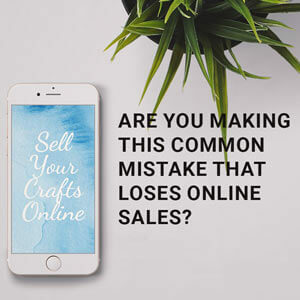 If you're in a hurry or looking for something very specific about how to sell crafts online, click the links below to jump to the topic you need to learn about. I started my online craft business back in 2006; it was a bit of a happy accident. Things have changed dramatically since then. I've learned a lot, and I still love what I do. I enjoy sharing what I know and continue to learn about career and business building to help people with their own goals, I love constantly learning new things and never being bored with my work, and I completely appreciate the freedom of working according to my own schedule. 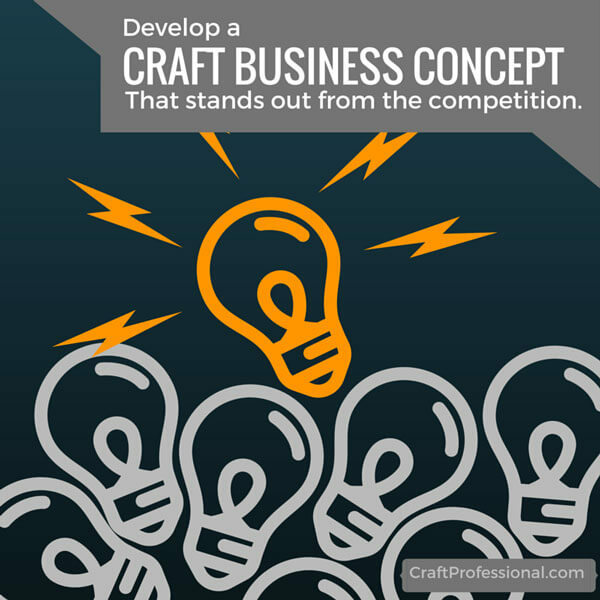 Curious to know how CraftProfessional got started? Here's the story of how I launched my own online business. Celebrating 10+ years of my journey as a solopreneur. Here's the single most transformative moment in my own business. 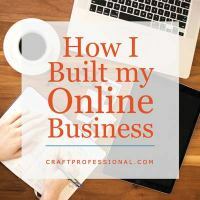 Plus, how to decide if taking your own business online is the best next step for your craft business. 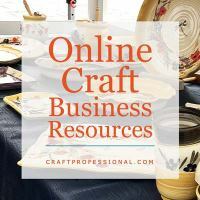 Too many craft professionals fall into the trap of thinking if they put up a free website, they'll have instant success selling their crafts online. The truth is, building a successful online business is completely achievable, but you need the right information, a solid plan, and a lot of hard work. Here's what you need to know before you build your first web page. Choosing your domain name is a big decision, and one that can be tough to change. You want to get this decision right the first time! In addition to choosing a name that is available, catchy and suits your business, you also need to consider the history of a domain name. It's important to do some research on the history of your new domain name to make sure the URL for your new site isn't linked to bad practices by someone who previously owned the domain. Here are 9 factors to consider before you commit to a domain name for your online craft business. 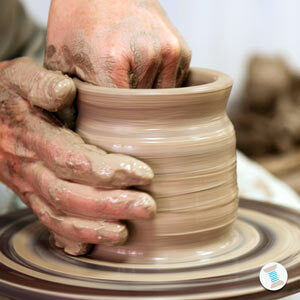 An online craft business can take different forms. There are really so many fantastic options available to you. Here are four different ways you might sell your work online. Great product photography is absolutely essential to sell crafts online. You really can't sell crafts online with bad photos. If you're not an experienced photographer, you'll need to invest a little bit of time learning some photography basics, and you may need to invest a little money in some photography gear. I can't tell you how many sites I've seen selling beautiful, handmade items that require an enormous amount of skill, that are clearly struggling due to poor photography. On the flip side, I've seen many sites successfully selling handmade items that many people could make without much practice for very high prices because their gorgeous photography makes their items look luxurious and highly desirable. Don't let mediocre photography ruin your online sales! 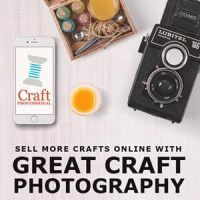 The book, The Crafter's Guide to Taking Great Photos, is my favorite source of information on blogger-style craft photography. Read my review to see if this book could help you step up the quality of your own craft photos. Photographing Arts, Crafts, & Collectibles by Steve Meltzer is an excellent, thorough guide to taking more traditional craft photos - the type you often see in juried art show applications. 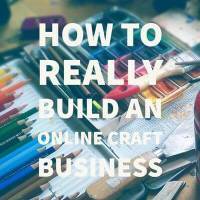 It's a great addition to your craft business library. At some point, whether you sell at shows or online, you're going to need to edit craft product photos. There are all kinds of tools you can use from free, browser based tools, to powerful paid software. Here's a roundup of the photo editing software I use. Want to edit your photos directly on your smart phone or tablet? There are some excellent, affordable apps to help you create beautiful images. 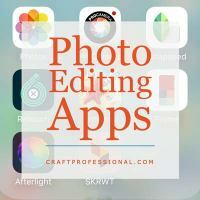 Here are the apps I use to edit photos for social media directly on my phone. 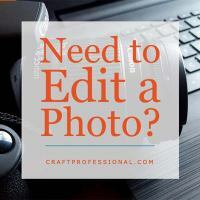 There are loads of tools you can use to edit a photo, but all of that choice can make it tough to find the right software for your needs. 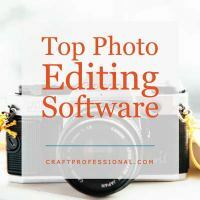 Here how to choose the right image editing software based on the job you need to do, your skill level, and your budget. 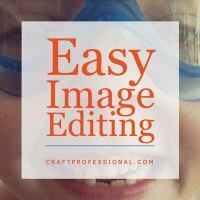 Is the PicMonkey Photo Editor Right for You? PicMonkey is an easy to use, affordable image editor that has plenty of features, but is it the right software for your needs? Find out here. 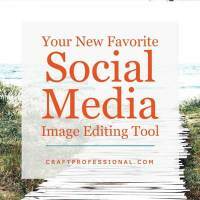 Do you need to be able to make social media images better and faster? Yes? Then you need to discover Canva. 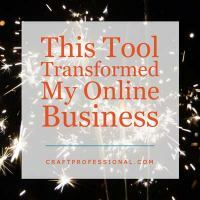 It's an excellent and free (or low cost) tool for craft business owners who market their crafts online. If you want to sell crafts online, social media really shouldn't be ignored. Yes, it can take up a lot of your time if you're not careful, but it also provides exceptional opportunities to build relationships with customers, increase your understanding of what your customers want, and get your work in front of thousands of well-targeted, potential customers. This site gets as many visitors from social media sites as it does from search engines. 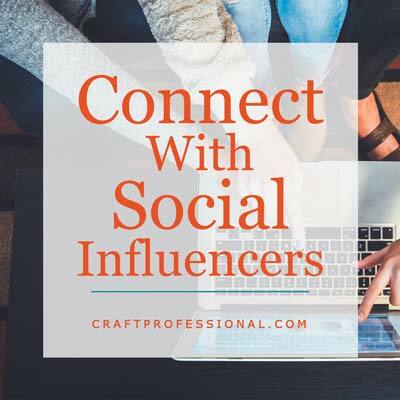 Plus, spending time engaging with craft professionals on social media sites has taught me a lot about what visitors to my own site want to know. The time I spend engaging with other crafters on social sites is definitely time well spent. One thing readers have said they want to know is how to use social media for business without letting it take over their lives. Managing multiple social media business accounts can take up an enormous amount of your time if you aren't careful, and it can take you away from other important income generating facets of your work. 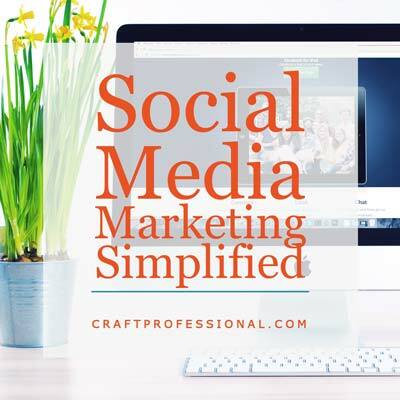 Here's a rational, manageable way to create an effective social media marketing strategy for your business without letting it take over your life. 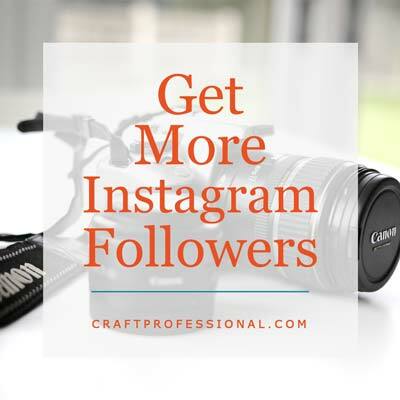 Because it's so visual in nature, Instagram is a great fit for a lot of craft business. 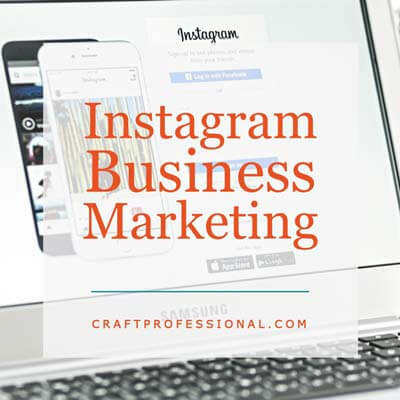 Is Instagram marketing the right strategy to promote your business? Read and find out. How to build an engaged group of Instagram followers honestly. No spammy tricks that could put your account at risk. Plus, tools and strategies to make your Instagram marketing more efficient. 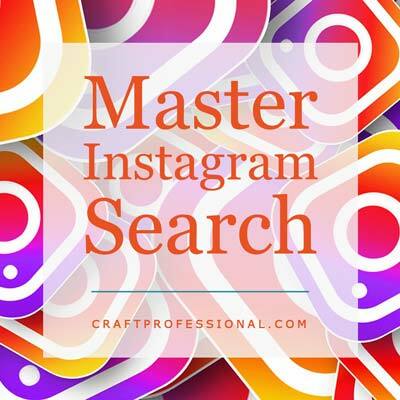 After months of being more serious about connecting with craft professionals on Instagram, I've found a better way to manage my Instagram hashtags. Here's how I've made my Instagram workflow more efficient and more enjoyable. 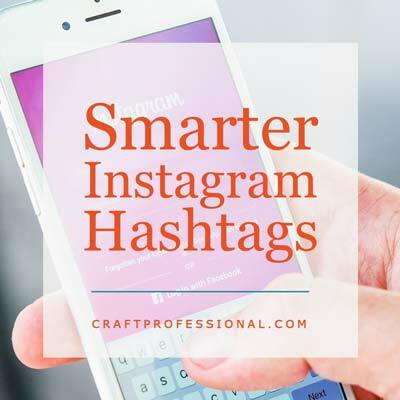 Find the best, most strategic Instagram hashtags to get more Instagram followers, and grow your business. Pinterest brings me thousands of visitors per month. It has truly been a fabulous source of growth for my business. 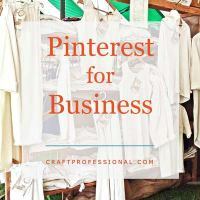 Are you ready to make Pinterest work for your business? 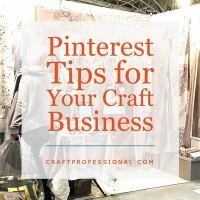 Here's why you should use Pinterest to promote your online craft business, and how to make the most of your time on the site when using it for business. How to optimize your Pinterest account and boards to maximize exposure and grow your brand on Pinterest. Discover where to find good keywords, and how to boost your chances of getting found in Pinterest's search tool. 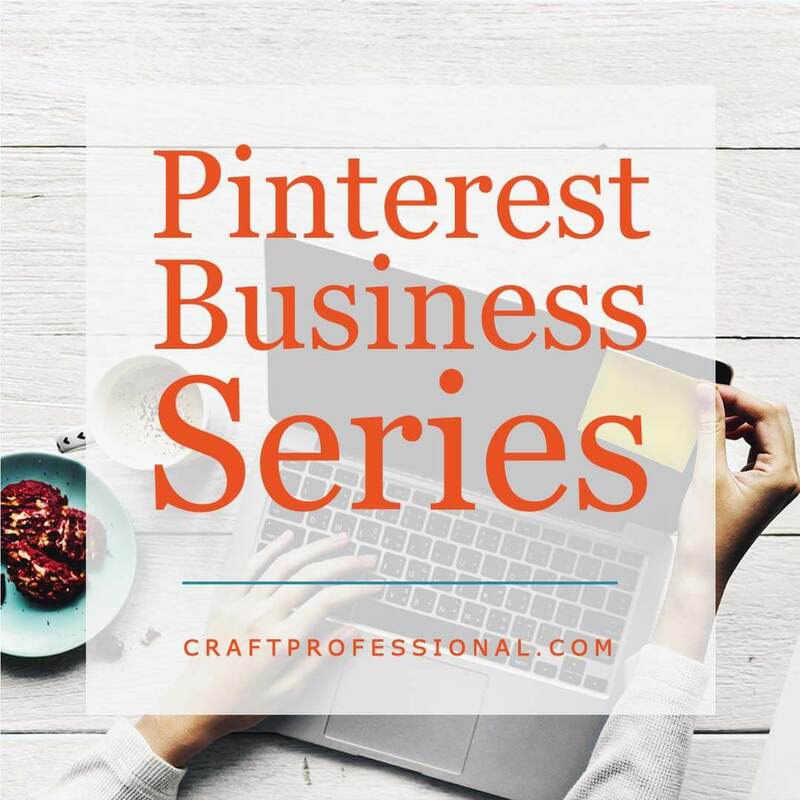 How to decide what Pinterest boards to develop to promote your business online, plus how to showcase you most important boards, and keep your account targeted to your ideal customer with secret boards. Here are the pinning basics for anyone who is just getting started on Pinterest. 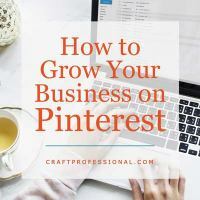 This article assumes you have little to no experience with Pinterest and takes you through the hows and whys of saving pins on Pinterest to grow your online business. 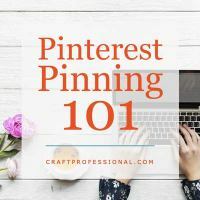 Finding quality pins to share on Pinterest is essential to growing your presence on the platform, but it can be extremely time consuming if you're not careful. 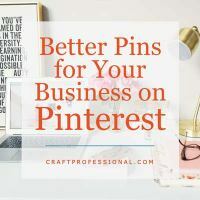 Here's how to find and schedule plenty of quality pins without letting your life be taken over by pinning. 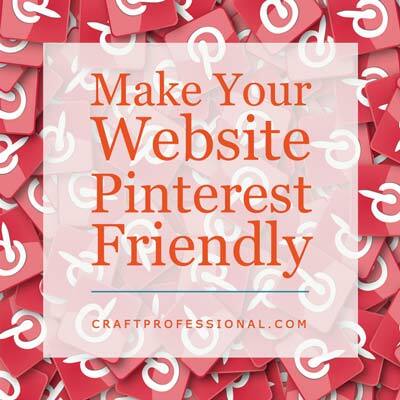 Learn how to make your website more pinnable, so you can grow your business on Pinterest. Here are the tools and the workflow I use to pin an average of 20 pins per day consistently, and promote my business on Pinterest without taking time away from other core business tasks. Hashtags, once almost completely irrelevant on Pinterest, have become a more important way for your content to be found on the platform. 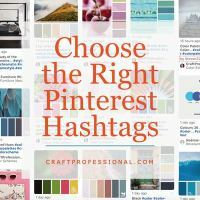 Here's how to use hashtags to grow your business on Pinterest. 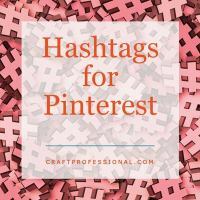 It's not enough to simply use hashtags to promote your pins on Pinterest, you need to use the right hashtags. Here's how to do smart research to use the right hashtags to promote your business on Pinterest. Pinterest sends an enormous amount of traffic to my site, and the book Pinterest Power is where I got the information I needed to make that happen. 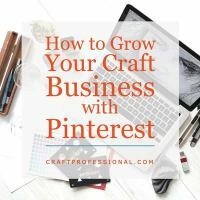 Here's my review of the book Pinterest Power - A guide to using Pinterest for business that is particularly well suited for craft business owners because the author and his wife use Pinterest to promote their own successful craft business. 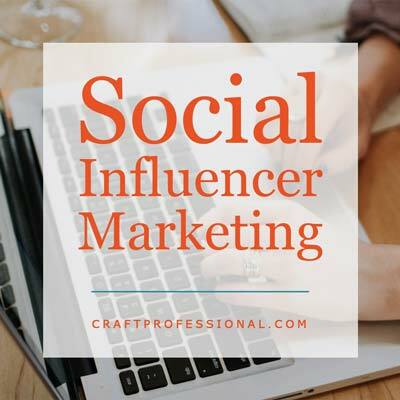 How to build real relationships with established bloggers and social influencers to promote your craft business online. Most proposals for product features or guest blog posts get ignored because they are terribly written. 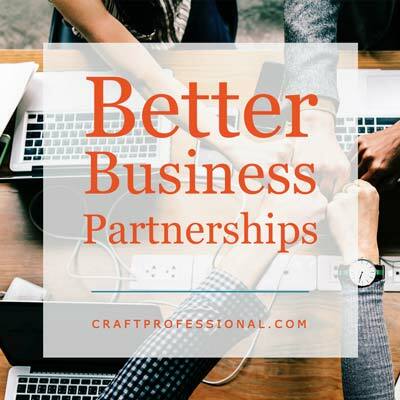 Here's how to write a partnership proposal that has a better chance of being read and considered by an established blogger or social media influencer. Email marketing is an extremely powerful tool for increasing sales. 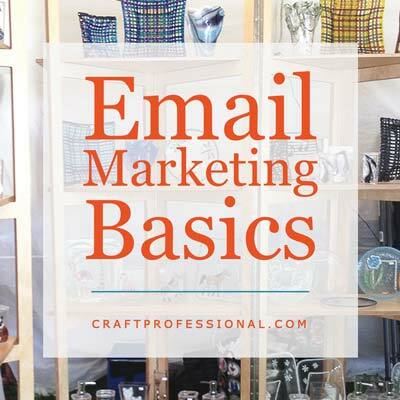 Here's the first article in a series on email marketing. 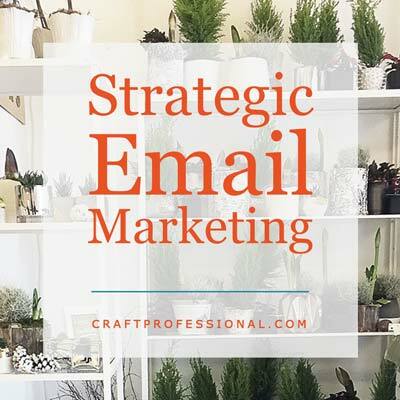 Get a handle on email marketing jargon, then find out why sending out a newsletter is worth your time and how to get started building a mailing list and sending out your own newsletter. 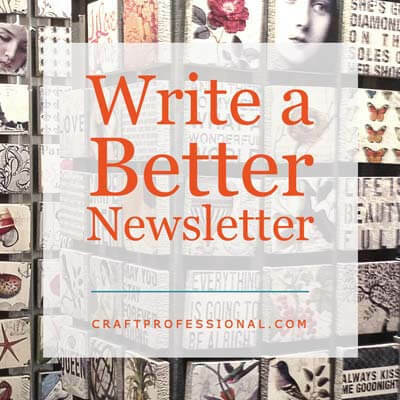 Thinking about launching a newsletter to promote your craft business but not sure if it's worth your time? 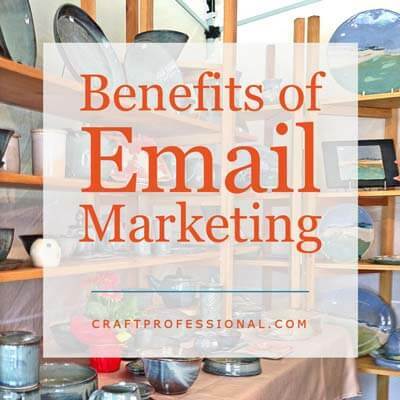 Here are some of the biggest benefits of email marketing. 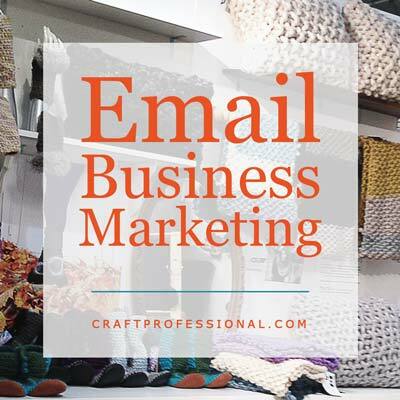 How email marketing can help you sell more crafts. Plus, why you need a newsletter even if you already connect with customers on social media. You know you want to market your business with a newsletter, but you have no idea what to write about. Here are plenty of ideas to get you started. Find the right frequency for your newsletter to maximize business benefits, make good use of your time, and keep your subscribers happy. 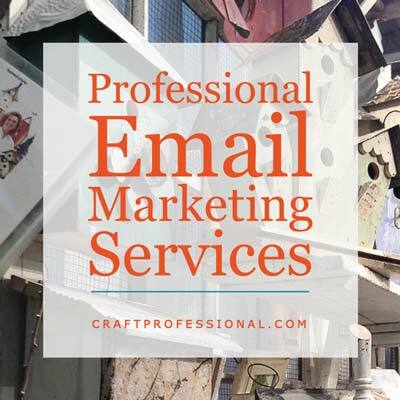 Learn the benefits of using a professional email marketing service. Plus, discover the right company to host your business newsletter. 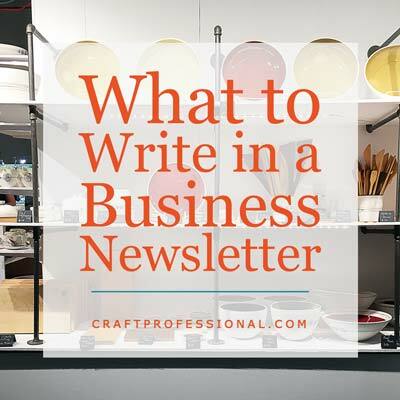 Simple and effective ways to get more people to sign up for your business newsletter. How to write better newsletters that encourage customers to open your emails, and keep your subscribers interested in hearing more from you. 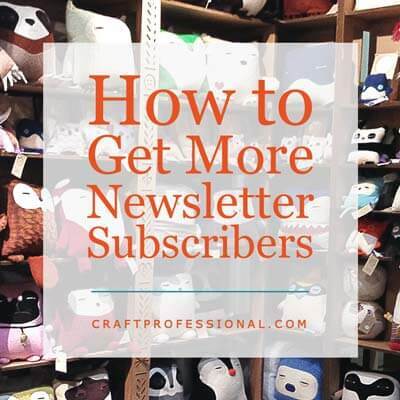 Discover the statistics you need to watch, and what to look for, so you can make savvy decisions to make subscribers happy and boost your newsletter's business benefits. Want to know if it's worth your time to participate in a joint project with another business owner? Here's how to assess a collaborative project and decide if it is a good use of your precious time. In person, customers have a real opportunity to interact with your product - to touch, smell, and see up close the colors, textures, beauty, and skill behind your work. When you sell crafts online, you have photos and text working for you. That's it. You really need to take the time to write great listings for your online products. 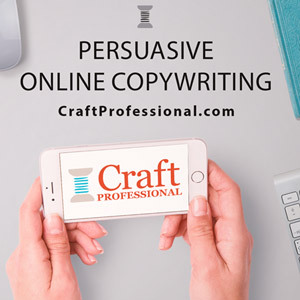 Here's how to write to motivate your customers to buy, plus an excellent, free resource to give you in-depth instruction in writing to sell. Have you ever stepped away from an online purchase because the shipping fees were just a bit too high? I certainly have. Shipping fees are often an afterthought in an online sales strategy, but they can have a surprisingly big impact in the success of your online craft business. Don't underestimate the impact shipping fees can have on online sales. Here's how your customers think about shipping fees and how to adjust your shipping fees to make to make the most of your online sales. 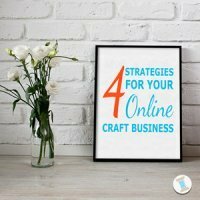 Here are two free and inexpensive strategies for bringing more traffic to your site, plus good resources you can use to learn, in depth, what you need to know to use those strategies effectively to sell crafts online. There are so many resources for building a website it could make your head spin. And, sadly, a lot of them are overpriced or not reliable. The internet marketing niche is, unfortunately, rife with bad advice that will either cost you a lot of money without providing much value or might work for the short-term but could get your site penalized by search engines, or could result in having your important social media accounts suspended. You can keep it real and build a legitimate online business, but you need to wade through a lot of bad advice to find the good stuff. To help narrow your search for the good information, here are several reliable and effective resources I have used for building an online business. 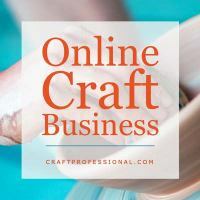 Rule Your Craft Business Online! 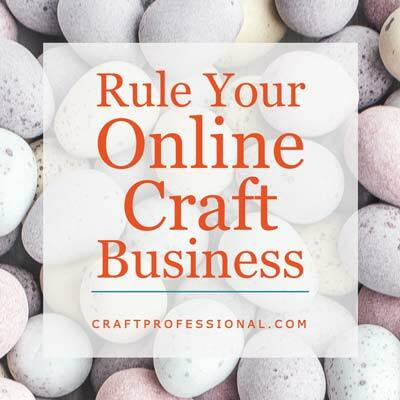 Are you in charge of your online craft business, or is someone else in control? You might be surprised. Find out how you might be losing control of your online business without even realizing it, and what to do about it. Can't decide whether to build your own site or go with a third party site like Etsy? 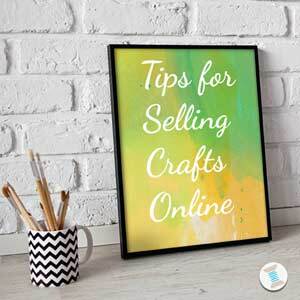 Here are a few things to take into consideration to help you decide where to sell crafts online. Here's an easy way to research bloggers in your niche with a good sized audience who might be interested in promoting items in your Etsy shop. 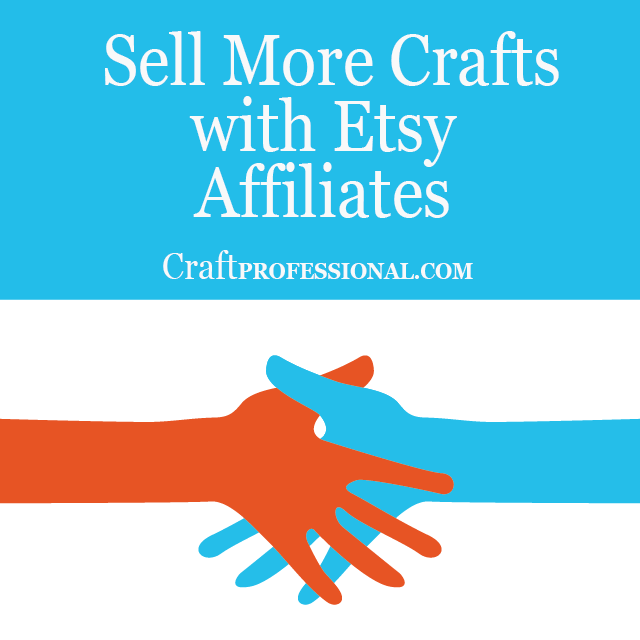 Etsy has an affiliate program that could help boost your shop's sales. It hasn't been talked about much in the Etsy forums or other crafter-circles I've checked out. But, if you attract the attention of a blogger with a large following that's a good fit for your products, you could see a real boost in sales. Here's what you need to know about Etsy's affiliate program. There are plenty factors that make your shop more (or less) attractive to bloggers looking for Etsy shops to feature. Some might surprise you. 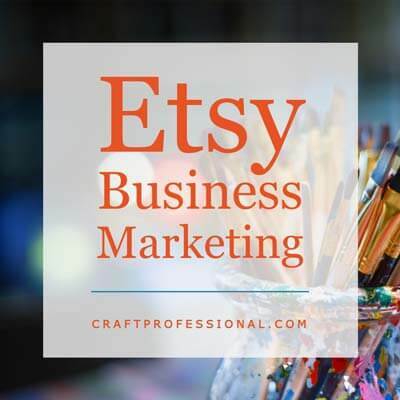 Want to have your Etsy shop featured on a popular blog? 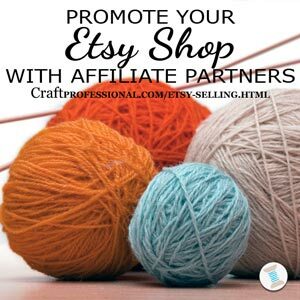 Boost your shot at being featured in popular blogs with these tips for making your Etsy shop attractive to affiliates. Are your making the most of Christmas time sales on Etsy? 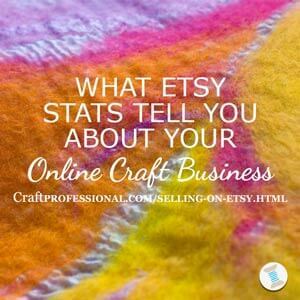 Here's an analysis of Etsy sales statistics from 2008 to 2012 with a special focus on holiday sales on Etsy, and what those numbers mean for your own Etsy shop. Amazon has jumped into the handmade arena with Handmade at Amazon. Have you tried it? Check out Amazon's marketplace that is strictly for handmade items only. 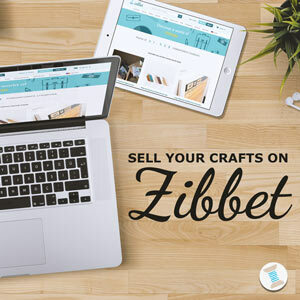 Everyone has heard of Etsy, but have you looked at Zibbet? Guest author Barbra La Bosco shares her insights into selling on Zibbet. Niche marketing - appealing to a very focused, well targeted segment of a market - is an important part of online business building, particularly for small business owners who have limited resources. 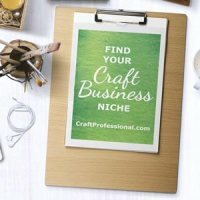 Have you found a great niche for your online craft business? 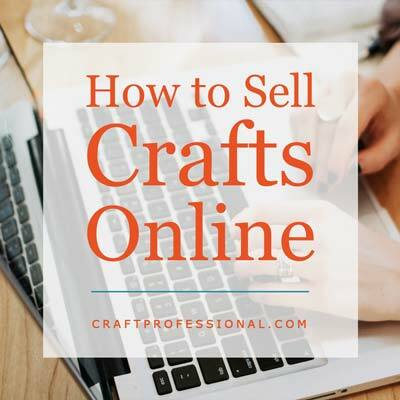 Read the articles below to discover how to sell crafts online with a great niche that you can serve better than anyone else and how to make a strong impression on customers within your niche. Finding a market niche that you know and understand, and that has committed customers ready to buy your products can go a long way toward making you stand out from the crowd. Selling to niche markets works particularly well online because you can reach a large number of customers with very specific interests and needs. 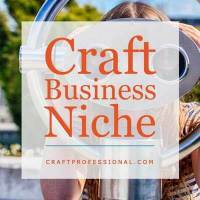 Read on to discover how to find a market niche for your craft business. If you choose the right niche - one you know well and can serve better than anyone else, you can truly stand out from the competition. Here's how to find a niche that takes advantage of your own unique skills and experiences. 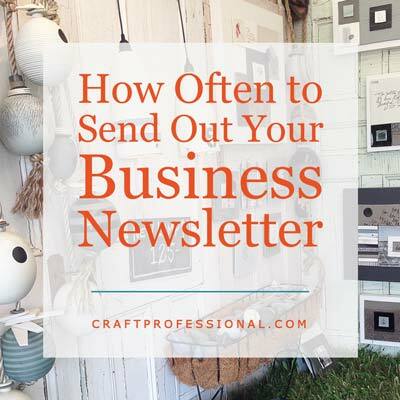 Here's how to stay on top of the latest developments in your craft business niche. Be the first to know, so your customers will think of you as the go-to person in your field.